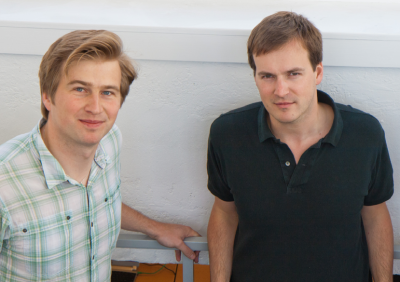 Is the London-based money transfer firm TransferWise the next big thing to come out from Estonia? Europas – Europe’s equivalent of Tech Startup Oscars – took place in Berlin on Tuesday evening with over 1,000 guests gathering to celebrate the best of the continent’s tech entrepreneurship. Estonian-owned TransferWise was among them and didn’t come away empty-handed. Among the audience were two young, London-based Estonian startuppers – Taavet Hinrikus and Kristo Käärmann – founders of online money transfer firm TransferWise who were here for more substantial reason than just mingle with like-minded tech and IT stars. Their company was plotting against 11 other start-up firms to win in the „Best Middleweight Startup” (Less than 3 years and/or less than €2m in funding) category. Hinrikus and Käärmann didn’t need to be anxious for long – they won indeed. Almost three years of hard work of building up the “Skype of currency exchange” or “Easyjet of money transfers”, as the founders like to call it, had just produced another fruit for the thirty-something entrepreneurs. Taavet and Kristo are two friends, both of whom already had promising international careers going for them, before setting up TransferWise. Taavet was Estonian-developed Skype’s first employee and Kristo worked for Deloitte, having set up his first company when he was 18 – Estonia’s first financial portal investor.ee. Until few years ago both of them split their lives between the UK and mainland Europe. Taavet was paid in euros, but spent his earnings in London. Kristo was paid in pounds, but had a mortgage in euros and spent a lot of time in Belgium. Whenever Taavet needed to get pounds for rent, Kristo had pounds to spare – but lacked euros to pay his mortgage. Hence the two friends came up with a simple scheme: Kristo put his pounds into Taavet’s UK bank account, and Taavet topped up his mate’s Belgian account with euros. To find a suitable exchange rate, the friends picked that day’s mid-market rate on Reuters. This way, they avoided paying enormous charges to banks and other conventional money transfer institutions. And that’s when they saw “the apple fall.” “We suddenly started to see a business sense in this. What if we added technology and turned this scheme into a global platform? 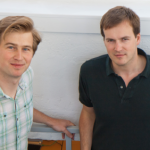 This was the start of TransferWise,” says Kristo. Hence in 2010 they transferred their personal experience into business model and the business was launched in early 2011. TransferWise enables individuals and businesses to send money between countries for a fraction of the price that banks and others charge, using internet based, a peer-to-peer, “crowdsourced” model — where money destined for transfer doesn’t unnecessarily actually leave each country. To put it into perspective, if the banks and Western Union style money transfer services usually take a cut of around five percent when transferring money internationally, plus a three percent commission on the exchange rate, then TransferWise offers straightforward mid-market rate (or “the real rate” as they call it at the firm) and take as little as £1 fee for transactions below £300 and a small percentage of about 0,5% of any transactions over that. “The point is that there are hidden charges which the banks don’t tell their customers about – they don’t use the mid-market rate when transferring your money, meaning that customers pay far more than the actual transaction fee,” explains Kristo enthusiastically. And it seems that more and more people share their enthusiasm: the firm’s customer base has expanded at a rate of 20% to 30% per month and their staff numbers have grown to over 20 at offices in Tallinn and London. Money transfers are supported for the British pound, euro, Swiss franc, Polish zloty, Swedish krona, Norwegian krone, and Danish krone – and since November last year also for US dollars. “Last year we attended on a pitch competition at a banking conference in Toronto. Among the panel were also some CEO’s from the big banks. They certainly raised their eyebrows and looked slightly nervous when hearing about us,” smiles Kristo. This fact was also underlined by The Financial Times last year, when they chose to feature TransferWise under their headline “Exchange start-ups challenge banks.” In a global exchange business, where 4 trillion dollars change hands every day, a lot is at stake. Although there are some who argue that they cannot see TransferWise ever making big profit unless they have massive amount of customers from around the world, many investors have been rather more optimistic – to date they have secured $1,8m seed capital, including from the co-founder of PayPal, Max Levchin. Kristo and Taavet epitomise yet another example of newly found global Estonian entrepreneurship. They are children of the period when Estonia became free of the Soviet occupation and it was normal to start things from scratch: set up a company, set up a bank etc. The difference of course is that if their older colleagues stuck with the home market and surrounding countries, then these start uppers belong to a generation who see the globe as their “home market” – simply because Estonian market, small as it is anyway, is already full of pretty good service companies, hence the expansion abroad. And of course, in Taavet’s case, being Skype’s first employee helped to get a ball rolling too: “I gained a great insight from early on how to launch a great global product and it created a feeling that we (Estonians) can create big things in a small place” he says. Their task now is to make TransferWise a global, sustainable business which will make money transfers more straightforward for people. With generally favourable reviews from their customers and their Nike-inspired mantra of “just do it”, Taavet Hinrikus and Kristo Käärmann are in a good position of possibly turning TransferWise into next big thing to come out from Estonia.